Marantz's Audioscope range of Boompoles comprises 2 adjustable lengths with two model choices in each length. You may also add Marantz's indispensable AUDIOSCOPE GEAR accessory kit (see picture below) to your boompole to complete your microphone boom solution. Be ready for any situation requiring a shotgun mic - anything from using a boom pole to using a DSLR camera. 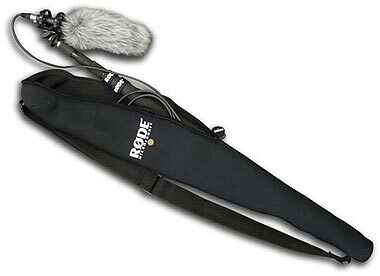 AUDIOSCOPE GEAR is a kit of accessories perfect for the gig bag. The kit contains five different mounting options for DSLR cameras (and other devices with hot-shoe mounts) and mounts for 5/8” x 27 threads (microphone stands and other mounting devices). Also included are 3/8” inserts for adapting to boom poles and other mounts that have 3/8” studs. The Rode BoomPole range is designed for applications where an extension pole for directional microphones is required, most commonly (but not always) on a film or TV set. The aluminium MicroBoomPole & MiniBoomPole adjust to a maximum of 2 metres. The BoomPole, also lightweight aluminium, goes up to 3.2 metres in length and the Boompole Pro up to 3 metres. 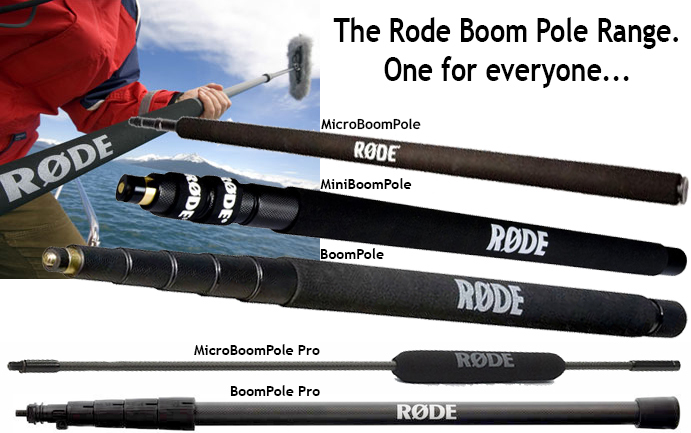 Boompole Pro and Micro Boompole are made from super-strong and ultra-lightweight carbon fibre. Boompole Pro weighs only 535gm and, from a compact 810mm, extends to a full 3m. The five extension sections are easily extendable with one hand thanks to an intuitive twist-lock mechanism. MicroBoompole Pro weighs just 125gm and has three 735mm sections providing a full extended length of 2.2 metres. All four are suitable for all our shotgun microphones as well as the Blimp windshield system. The BoomPole Bag (right) is designed to carry any of the above poles with any of our shotgun mics, with or without the Rode SM4 suspension attached.